Here at Profit Accumulator, we’re well aware that we have plenty of avid fans of horse racing among our members. It may well have been the first thing that you ever gambled on as a (relative) nipper, or you may have only recently begun placing a few matched bets on horse races and become accustomed to a lot of the terminology that can baffle mere mortals. Even at this stage of November, there are still plenty of great races to look forward to, including National Hunt events at the likes of Lingfield Park, Hereford, Musselburgh and Doncaster, together with flat fixtures at such esteemed courses as Newcastle, Wolverhampton, Chelmsford City and Kempton Park. The Sporting Life site has a comprehensive calendar covering the upcoming horse racing fixtures for not just for the rest of this month, but also future months, and is a good first reference for the latest betting opportunities. But what are the fixtures for the rest of November that you should particularly keep an eye on, and who are the most fancied runners and riders? Open to horses aged five years or older, this Grade I National Hunt Steeplechase runs over a distance of about three miles – or 4,828 metres – at Haydock Park, and has been most dominated by the late Kauto Star, with four wins. Unsurprisingly, last year’s winner Cue Card is strongly fancied for repeat glory this time around, attracting 6/4 odds at Paddy Power for the 19th November event. He is joined by the likes of Coneygree, at 2/1, Silviniaco Conti at 6/1 and Seeyouatmidnight at 7/1 with the same bookmaker. Another 19th November event on which many a sports betting aficionado will be keeping a close eye will be the 1965 Chase, the Grade 2 National Hunt chase open to horses aged four years or older. With 16 fences to be jumped over a distance of two miles and three furlongs, the event has been a showcase for such past winners as Master Minded and Al Ferof, both two-time victors. Sky Bet presently has Dodging Bullets and Gods Own equally strongly fancied at 9/4 each, so if you’d like the prospect of bigger winnings, we’d suggest looking to the likes of Eduard (12/1), Kings Odyssey (20/1) and Tenor Nivernais (25/1). The 26th November return of this Grade 3 National Hunt chase at Newbury is another event that has attracted a lot of interest from the bookies, with William Hill deeming Native River the favourite at 6/1, followed by Saphir du Rheu and Un Temps Pour Tout, which share 10/1 odds. Somewhat better value might be seen further down the field from such contenders as last year’s winner Smad Place (12/1), Blaklion (14/1), Coneygree (16/1) and Bishops Road (25/1). Looking overseas, one of the most prestigious horse races in Japan – the befittingly named Japan Cup – looms on the 26th. The thoroughbred race has been running since 1981 and has seen no shortage of memorable winners, including last year’s long-shot prospect Shonan Pandora, who beat favourite Lovely Day by a nose. Again looking to Paddy Power, the favourites list is currently headed by Kitasan Black - the winner of the Group 1 Tenno Sho earlier this year - at 7/2, with other contenders including Real Steel (4/1), Gold Actor (9/2), Cheval Grand (11/2) and Dee Majesty (8/1). Back home in Blighty, another event on the 26th that is being eagerly anticipated by many is the Fighting Fifth Hurdle, the Grade I National Hunt hurdle race that runs at Newcastle and was inaugurated way back in 1969. The event covers a distance of about two miles (3,219 metres) and is the first leg of the Triple Crown of Hurdling, also including the Christmas Hurdle at Kempton Park and the Champion Hurdle at Cheltenham, so needless to say, we can expect it to be fiercely contested. Sceau Royal presently tops the odds with Sky Bet, followed by My Tent Or Yours and Irving at 3/1 and 4/1 respectively. Set to take place at Navan Racecourse in Proudstown near Navan, County Meath, Ireland on Sunday 27th November, the Ladbrokes Troytown Handicap Steeplechase – to give its full name – is currently open for ante-post betting at the sponsor bookie, with Mountain King and Noble Endeavor most strongly fancied at 10/1 each. For the prospect of bigger winnings, you’ll therefore need to consider such contenders as 12/1 Bless The Wings, 14/1 Sizing Coal or even an outsider like 66/1 Sonny B or Stoughan Cross. 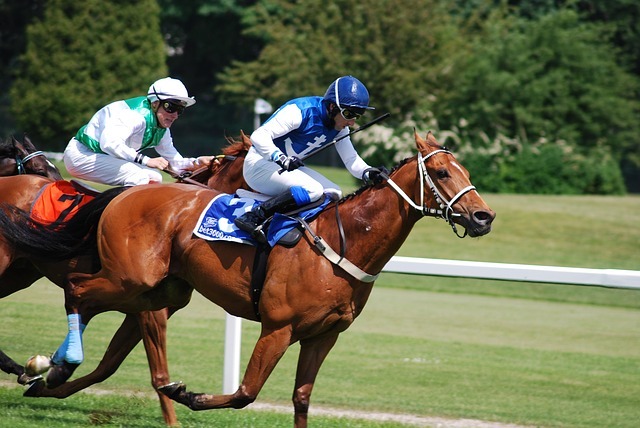 How can I maximise my chances of horse racing betting success? Of course, it helps to know where to find the best horse racing betting tips – The Guardian, for example, has a section dedicated to the latest tips for each day’s action, with other sites known for the quality of their horse racing tips including Sporting Life and specialist horse racing website GG.co.uk. You’ll also find sites like UKRacingGuide.co.uk giving more general advice on how to win at horse racing, together with various sites offering to give you “proven” betting tips for a monthly fee. We would certainly urge caution with the latter – after all, if anyone really did have betting tips in their armoury that could almost guarantee a profit, we doubt they’d be too eager to share them with others, whether for a fee or not. There is one way of earning guaranteed profit from horse racing betting, however, which is to take away all of the risk from the process. Yes, that’s right: we’re talking about our own services here at Profit Accumulator. Although we do offer monthly and annual subscription plans once you have completed our no-minimum-contract free trial, we aren’t just another site encouraging you to gamble away your money – because what we specialise in doesn’t involve gambling at all. What it does involve, is a thing called matched betting, which by betting both for and against a particular outcome on a sporting fixture as part of a mathematical calculation, ensures that you continually gain money, rather than lose it. 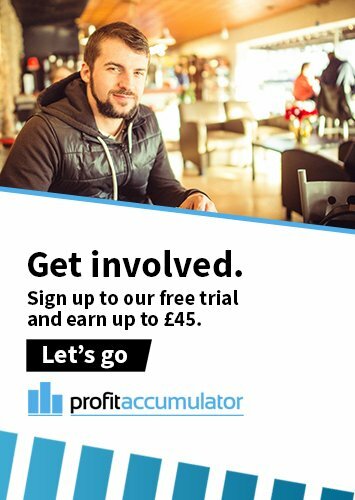 Register with Profit Accumulator now to start taking advantage of the many moneymaking opportunities of matched betting – whether or not you intend to have a flutter on any of this month’s horse racing fixtures.